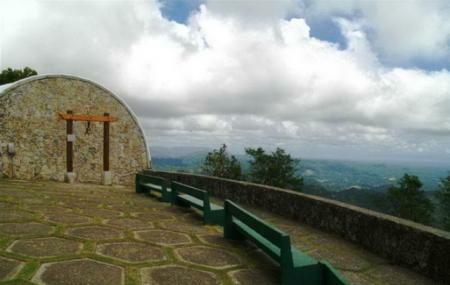 Located 2,000 feet high at the peak of Mt Busay, Tops Lookout, or just Tops to locals, provides the most spectacular views in Cebu, especially at sunrise or sunset where you can see Cebu glowing from a distance. There is a steep winding drive up the hill which takes about 30 to 45 minutes and plenty of parking space if you plan to drive. There is a snack stall that serves basic refreshments and beverages near the viewing platform. To get to Tops, jump on a jeepney and then a habal-habal up the steep winding road to the top. How popular is Tops Lookout? People normally club together Cebu Taoist Temple and Lapu Lapu Statue while planning their visit to Tops Lookout. This place is the most place that I love. Very spacious and relaxing. If you like to be free for a while and have yourself some peace, TOPS is a perfect place. The City especially in the evening are so good to see. The place is so nice, so refreshing. The view is so amazing especially when the night comes, the city lights are so beautiful. Most of the tourist are bringing some picnic garments, foods and drinks with their family and friends. They enjoying taking pictures and it also a nice place for prenups too. They're also a bell and a snack bar. They have only one comfort room available in the place which is not okay for me. A romantic or a soul-enriching place. I wish they'll make it a smoke-free zone. And, visitors, please take home your garbage with you. Beautiful place above the city to view and take pictures of entire Cebu City. Best time to stop by is sunset - and with the twilight, the city lights turn on and the scenery turns different spectacular again. On top of that, there are some truly fancy restaurants nearby!